Use this Google Map to find out whereabouts in the world it is midnight right now. This ingenious Google Map has an embedded clock that changes to show the time in the current map view. This live streaming webcam of Times Square has a lot of different views, so you should catch all of the midnight action. This live streaming webcam is centred on the Nasdaq Market Site Tower on Times Square. This streaming webcam of the London Eye and Big Ben should give you a great view of London's New Year's Eve fireworks. Edinburgh traditionally holds the biggest Hogmanay party. This streaming webcam alternates between views of Princes Street, the Mound, Edinburgh Castle and the famous Scott Monument. This live streaming cam of Sydney Harbour should catch the Sydney Harbour Bridge fireworks. This streaming webcam of Dublin has great views of the River Liffey. Fireworks are launched from boats in the Liffey or alongside the river on New Year's Eve. This streaming webcam has a great view of the Grand Place in Brussels. Pamela Fox, of the Google Maps team, has produced a Google Map with fireworks! 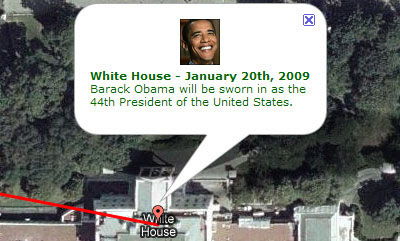 The map uses the Google Sky map tiles in Flash. Links to some of the great new features developed by the Google Maps team in 2008 magically appear out of each firework. I've shrink wrapped the map to fit into Google Maps Mania. 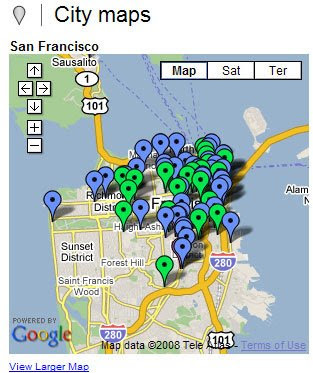 To see the fireworks in all their glory visit the Google Geo Developers Blog. 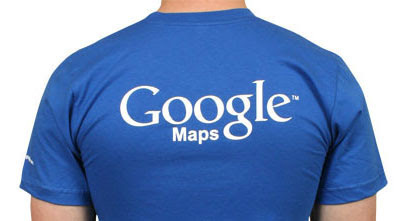 The Google Store is now featuring this rather fetching Google Maps t-shirt. 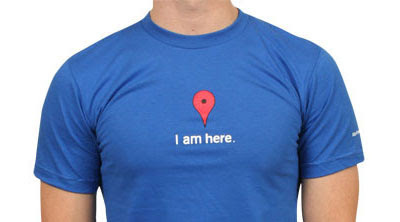 royal blue American Apparel 100% combed cotton shirt featuring the Google Maps pin and "I am here" text on the front, Google Maps logo on the back, and URL on the sleeve. 3/4" set-in neck; shoulder-to-shoulder tape; 1" sleeves and bottom hem. 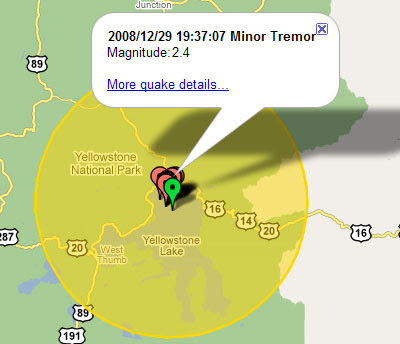 Over the last few days Yellowstone National Park has suffered a number of small earthquakes. So far there has been more than than 250 tremors which is unusual over such a short time. Here are a number of Google Map mashups where you can view information about the Yellowstone earthquakes and find out about other earthquakes around the world. Update Sunday 4th January: A series of powerful earthquakes occurred this morning in eastern Indonesia. The maps below also show the locations of these quakes. This Google Map plots data from the US Geological Survey. A coloured polygon is dranw to represent the size of each tremor. This map also shows recent earthquakes around the world. It also includes the latest earthquake news. The map uses different coloured map markers to show the strength of different earthquakes. This mapplet plots the past week of earthquakes around the world, showing the location, time and magnitude. Each earthquake includes a link to the USGS earthquake website for more information. A Google Map showing over 1550 volcanoes around the world. It is also possible to view the latest earthquake reports from USGS on the map. This Google Maps mashup from Geology.com shows the boundaries of tectonic plates around the world. Geology.com has also produced a San Andreas Fault Map. Prolific Google Mapper Virender Ajmani has produced a map of YouTube videos about the present conflict in Gaza. So far Virender has found 49 geo-tagged YouTube videos about the conflict. 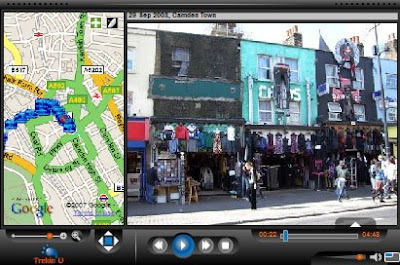 The videos play automatically and the map animates between the different videos. If you don't wish to watch all of the videos you can just click on any of the video's map markers. 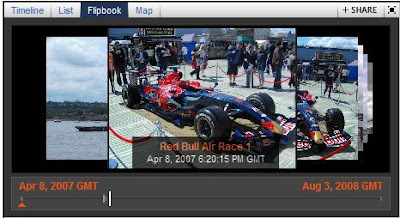 Alternatively there are forward and back buttons which allow you to skip to the next or previous video. The Washington Post's new TimeWorld map is another great way to keep abreast of developments in Gaza. The TimeSpace map comes with a time-line so it is possible to navigate back over the last few weeks and observe how the current conflict has developed. 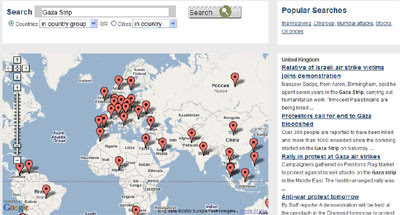 The map compiles all the world news content from The Washington Post, washingtonpost.com, PostGlobal, Foreign Policy magazine, and partner sites including The Associated Press and Reuters onto one customizable map. All the news coverage about the Gaza conflict is collected into clusters around hot-spots on the map. By clicking a cluster, users can view articles, blog posts, photos, videos, and even reporter twitter feeds. 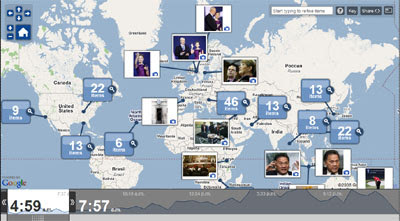 Track This Now is a great way to find out how the world's media are respondng to the Gaza Strip conflict. This news site allows you to enter any search term to find out how the world is reporting on that subject. If you enter 'Gaza Conflict' into the search box markers will appear on all the countries that have been reporting on the conflict. Clicking on a country will load all the news items from that country on the Gaza Strip into the map's sidebar. I've started searching for a European skiing trip I'm planning for February. My (so far)limited research has turned up a lot of skiing websites that feature Google Maps. 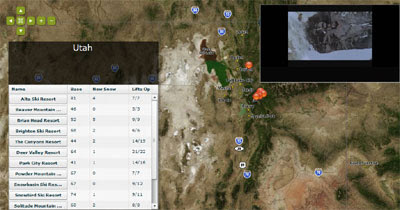 This Flash based Google Map has been produced for a US snowboarding magazine. The site combines resort specific video, webcams, statistics, weather, blog and driving conditions by US state. Eventually the site will also include details of non-US ski resorts. SkiBonk graphically displays snow depth and new snow for ski resorts throughout the world. 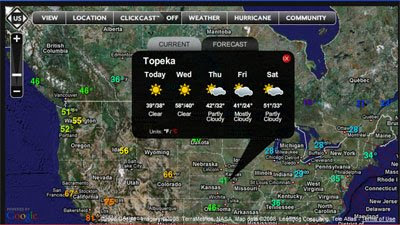 Skibonk mashes up data from "SnoCountry, OnTheSnow, Weather Underground, the National Weather Service, and several other data feeds." Webcams, current conditions, heaps of weather info and tons of information for each resort is located on SkiBonk. RiderTech - Ski resorts (and other action sports venues) from around the world. RideSoCal - Southern California Snow Sports Community map. A Google Map mashing up the Ridesocal.com member database and ski resort information. Ski Alberta Live - From Travel Alberta comes this cool Ski Resort mashup for the province of Alberta. With some of the best skiing in the world on offer, use this mashup to plot locations, find websites for all resorts and get driving directions. Canadian Ski Resorts - Map of Canadian ski resorts, current news on the Canadian ski scene, stats for the hills and links to accommodations at resorts across Canada. Wintersporters.nl helps you find European ski destinations on Google Maps. Interactive panorama site 360 Cities are celebrating Christmas with some beautiful panoramas on their home page. 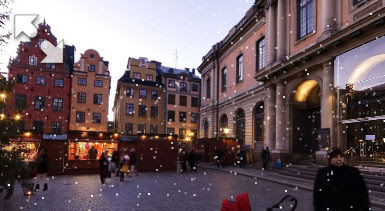 Every 5 minutes the site is featuring a new "snowing panorama". If you can't afford to visit the Christmas Markets this year then this is probably the next best thing. Apparently Google has mapped the Thunderhill Raceway for street view. This video, shot from the rear of a Fun Cup racing car, shows the street view car in action. 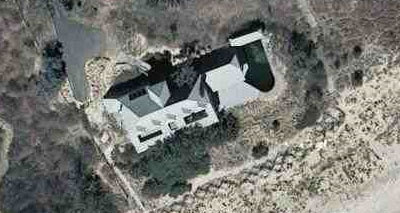 This beach house in Montauk is owned by swindler Bernie Madoff. Mapness is a Google Maps mashup which you can use to share your travel experiences. 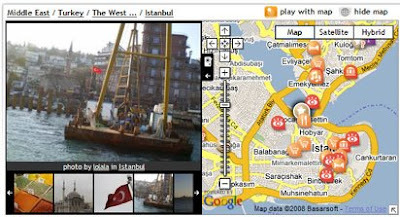 Using Mapness you can create an online travel journal and show on a Google Map where you have been and what you have seen. It is possible to add photos and videos, mark the best spots to visit and then share your map with your friends! 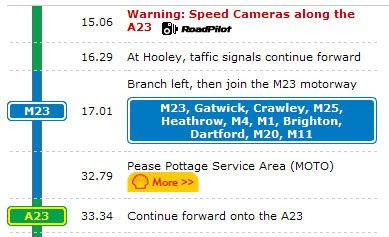 Mapness also creates some interesting statistics for your journey, such as the total distance travelled and the duration of the journey. Mapness is also available in three languages, English, Polish and French. The Wroclaw Tram Map shows the 24 tram routes and stops in this Polish city. The map sidebar includes check boxes for each of the tram routes and for the tram stops. 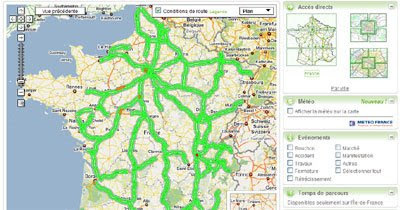 It is therefore possible to view any combination of routes on the map at any time. Clicking on any of the selected routes opens an information window containing a link to that route's timetable. Clubs, monuments, pubs, restaurants, theatres, cafes, shopping, sports venues, education, transportation, parks, police, hairdressing salons, clinics, shops, hotels, doctors, administration, property, services, dentists, cemeteries, religious buildings, entertainment, pizzerias, hospitals, military, offices, medicine, libraries and banks. Clicking on any of these categories loads the points of interest for that section. With Mapa Warszawy you will always be able to find what you need in the Polish capital. Google Maps is now highlighting the top contributors by 'reviews, maps and edits' in the map sidebar. 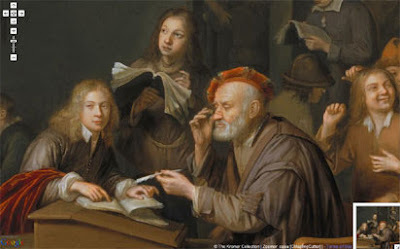 Pointing your mouse cursor at a name of any of the 'top contributors' opens a pop up window with a photograph of the user and some brief information (check out the handsome chap in the screenshot above. Clicking the person's name takes you to a page with links to all the contributor's My Maps, edit history and reviews. Rewarding contributors in this way could well lead to an explosion in mapping, editing and reviewing on Google Maps. Mapplr is website designed to help you find the best restaurants, hotels, cafes, boutiques around the world. Mapplr only selects the best boutique hotels and B&Bs (avoiding hotel chains), coolest restaurants, and cafes with good coffee and preferably Wi-Fi. 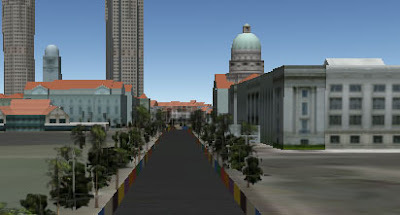 Mapplr has created a number of city maps showing the locations of their choice selections. The maps have all been created with Google My Maps. This means that each map comes with a link to 'View Larger Map'. Clicking the link allows you to view the city locations directly in Google Maps. Go Street Maps has created a large number of Google Map mashups for the top cities around the world. Each map contains a wealth of information about the city, including hotels, the top shops and places to visit. Each mapped location is listed in a sidebar and tagged on the map. 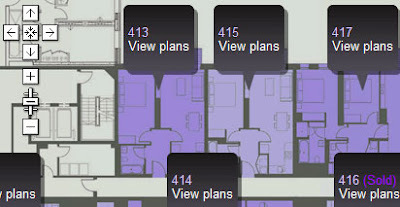 The sidebar contains information about each location and the mapped tags contain a link to more information about the destination. The Tri Cities Best is a guide to the best restaurants, hotels, motels and B&B's in Johnson City, Kingsport & Bristol, Tennessee. Both the restaurant and hotel sections are divided into categories. So if you are searching for something to eat you can choose from a number of types of food, for example Mexican, pizza, etc. The hotel section is divided into hotels, B&Bs or motels. Each section then comes with a map listing all the select choices made by the Tri Cities Best. 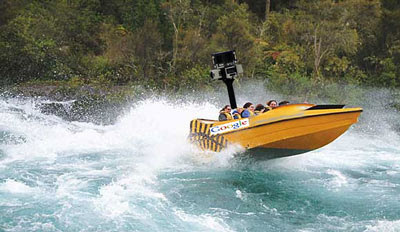 Spoof website Unconfirmed Sources claim that Google are set to unveil a new mapping service called River View. The service will allow users to view the shores of every navigable river in the United States. They say the interface will be accessible through Google Maps much like the existing street view service. The story is illustrated with what is clearly a genuine photograph of the street view boat :). What could be more fun than having a day off for snow? All schools in the North Mason School District will be closed Friday! Yes!!! 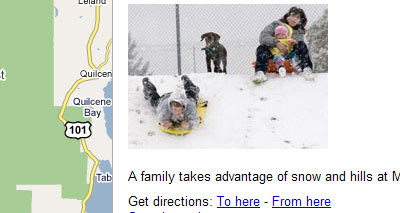 The Kitsap Snow Day Map is a Google My Map of road closures and photos sent in by readers of The Kitsap Sun. 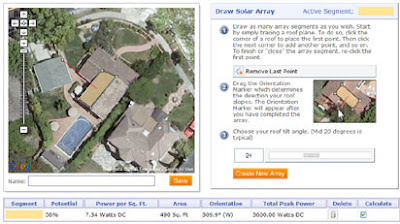 Beginning Google Maps Mashups with Mapplets, KML, and GeoRSS is a beginner’s guide to creating web mashups using Google mapping technology. This book is a single–source primer to displaying data on Google Maps and covers both mapplets and the Google Maps API. It is everything you need to start participating in the Geographic Web. 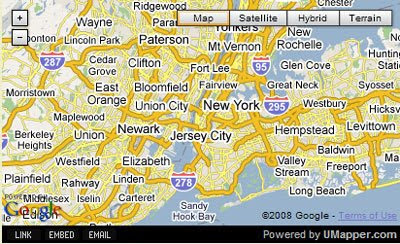 Google Maps Mashups with Google Mapplets is the book that Geo–Mashups developers will need to create Web 2.0 applications based on Google’s new Mapplets technology. It presents both a complete guide to the new standard and the practical how–to that developers seek. Written by Michael Young, an award–winning, new technology expert from The New York Times, the book is both authoritative and eminently usable. 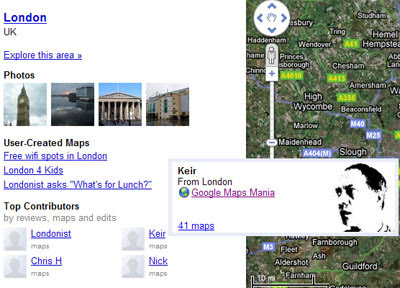 The Google Maps API remains one of the showcase examples of the Web 2.0 development paradigm. Beginning Google Maps Applications with Rails and Ajax: From Novice to Professional is the first book to comprehensively introduce the service from a developer perspective, showing you how you can integrate mapping features into your Rails-driven web applications. The book also steers you through various examples that show how to encourage user interaction. As part of the Google.org Geo Challenge Grants Program the Rocky Mountain Institute (RMI) has created an animated map of US oil imports by country since 1973. The map animates the supply of oil to the US from other countries and how the imports have changed over the last 35 years. The thicker the line in the map, the more oil produced or imported. A time-line is shown underneath the map. The time-line is also animated to show the date of the oil supply shown on the map. Beneath the time-line there are also a number of buttons which will set the map and the time-line to specific important dates, such as 'the first oil crisis', 'the second oil 'crisis' and when gas hit $5 a gallon. 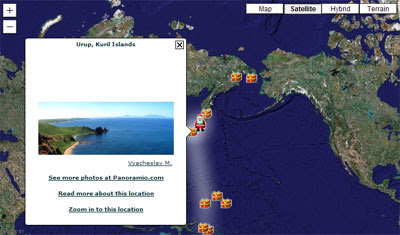 Here is a fun quiz game built using Panoramio images and Google Maps. There are two versions of the quiz available, World Capitals and US State Capitals. 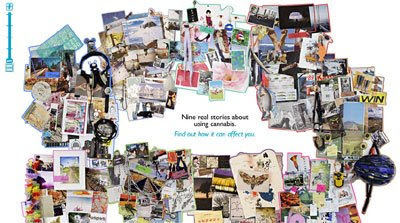 In both quizzes you are presented with a number of markers in the form of letters and a visual clue in the form of a Panoramio photograph. The object of the game is to rearrange the letters to spell a world capital (or US state Capital) and then pick the letter where the capital is located. 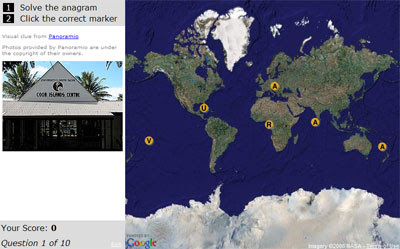 The Quiz Map can be embedded on websites or blogs by cutting and pasting the embed code. So give your readers a Christmas treat by embedding the Quiz Map on your website or blog. UMapper, a great Google Maps creation site, has unveiled a new feature that allows users to create maps from any text or just from the url of a website. Instead of adding points manually to UMapper's map editor you can now simply paste text and UMapper will generate points from the entry for you. 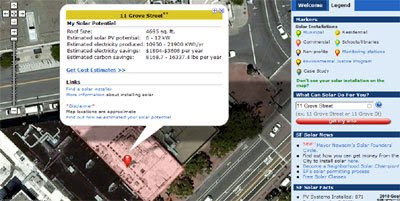 UMapper, in partnership with MetaCarta, translates the text to geo-locations and adds them to your map. Once a map is created you can customize it further. The process also works for URLs. Once you enter a URL to a web page, UMapper will extract all of the points from that page and add them to a map. 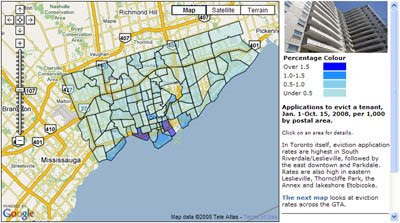 This option is best for mapping news stories, existing blog posts or any other content involving large amounts of data. 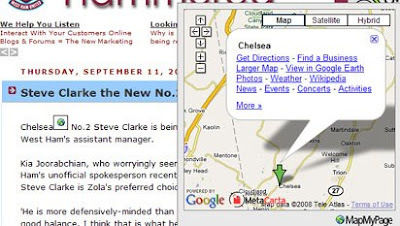 The embedded map below was created by just adding the web address for Google Maps Mania. It took about four seconds to create and shows all the locations mentioned on this page. At the moment there is no information added to any of the markers but I could easily use the UMapper map editor to add information to the markers if I desired. The Portland Pinball map is a user submitted Google Maps Mashup of pinball tables in the Portland area. Using the map it is possible to search venues around town to check their latest line-up of pinball machines, search for machines throughout Portland, search for locations with four or more machines and even comment on a pinball machine's condition. 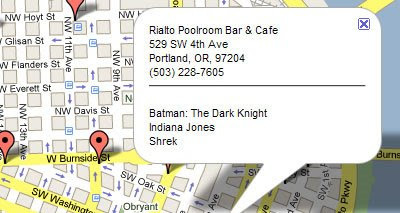 Portland Pinball Map also maintain a high score list showing who has been posting the highest scores and on which pinball machines around Portland.